Micro lofts are exactly what you might expect, small spaces that need smart furniture in order to have a good layout and a spacious feel. 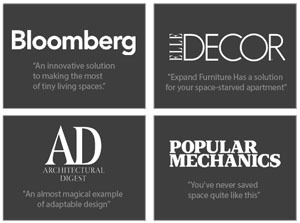 There are a plethora of developments of micro lofts from the amazing properties developed by Reliance properties of Vancouver to proposed developments of micro lofts in New York City. 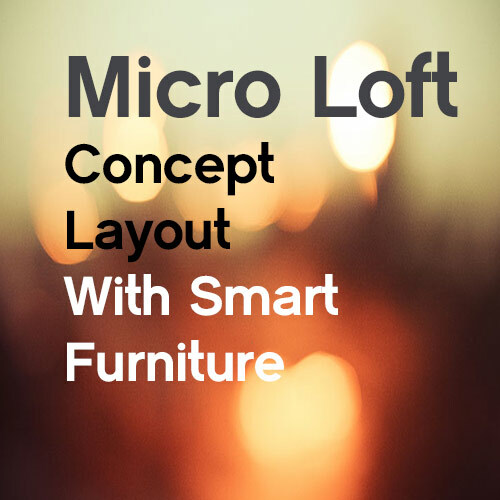 We have decided to make an example of a micro loft layout in order to show you how to have a more optimal living area. 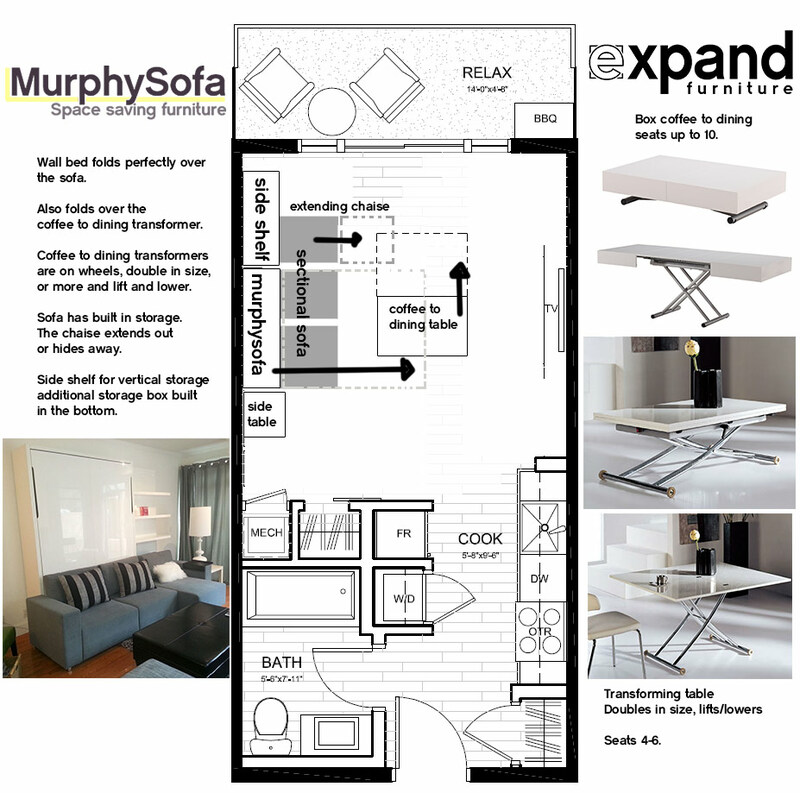 Our basic concept of this micro loft layout is to remove the dining area and replace it with a convertible coffee table. A standard bed and living room area has been combined into one through a MurphySofa sectional . Use vertical storage on as much wall space as possible, while also having some open shelving, such as on the MurphySofa, to keep that open feeling. This particular floor plan was taken from the Sole Development in Kelowna, they have a great concept in the works over there and we highly recommend you have a look!